Abercrombie & Fitch has for many years been a mainstay amongst the top retail stores at Mall of America. When they decided to freshen their appearance within the famous shopping center, they turned to Elder-Jones to help them transform their latest design into reality. The beautiful images speak to the results. 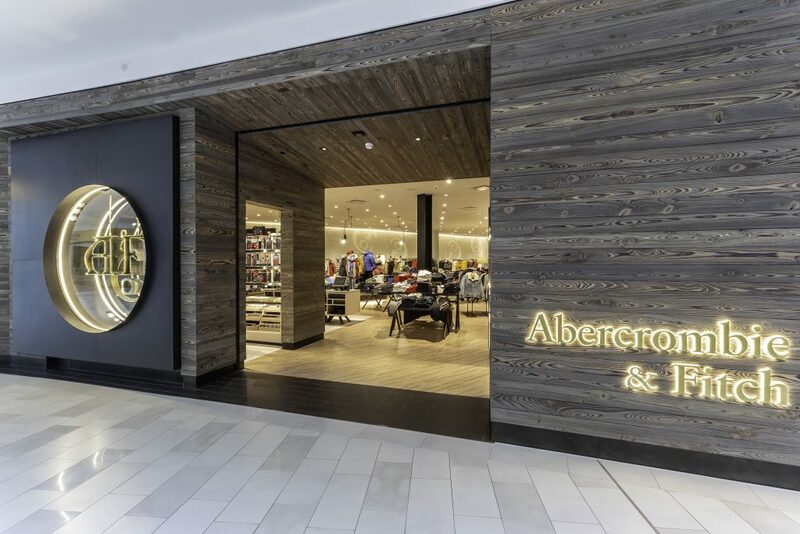 Abercrombie & Fitch’s exquisite new appearance within the Mall of America brings their brand image to life through a thoughtful mix of artful architecture. Visitors will be greeted by a dramatic storefront, covered with tongue and groove cypress with a dark burned finish. The centerpiece of the storefront is the eccentric lantern fixture with LED lights illuminating the A&F logo. Once through the entry portals, the room feels bright and modern with unconventional wall angles and contemporary light fixtures. The level of detail on the interior is captivating. Raised display platforms topped with dark slate tile are illuminated with LED lighting from below, and faux skylights illuminate from above. 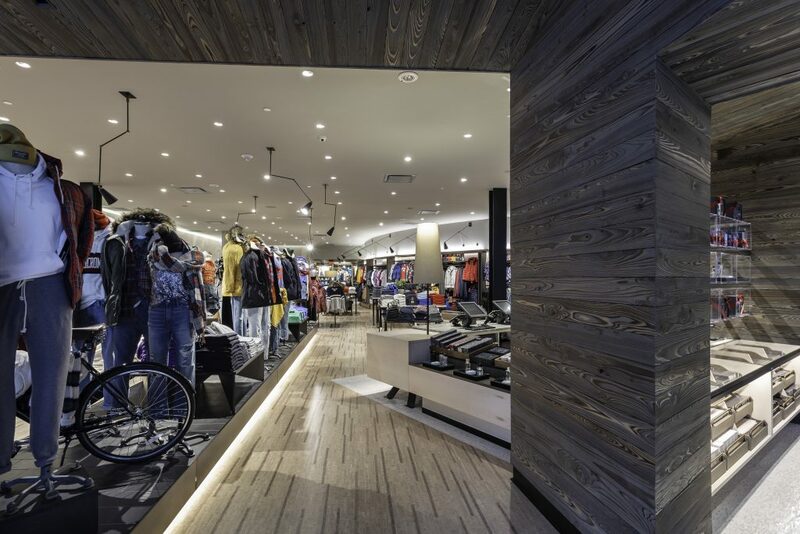 Fitting rooms are equipped with in-wall, flush mounted LED screens which give users the ability to set their mood by change to color and intensity of the fitting room lighting. 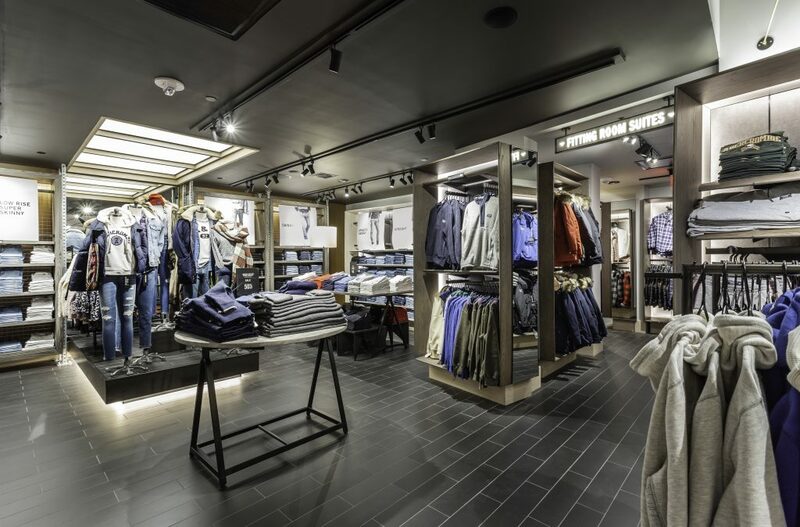 Elder-Jones helped bring Abercrombie & Fitch’s vision to life with this beautiful new store.